ReDev Properties has closed the sale of the Whitemud Crossing shopping centre in Edmonton. The 93,353-square-foot retail centre is located at 4211 106th St., in a busy Edmonton residential area. 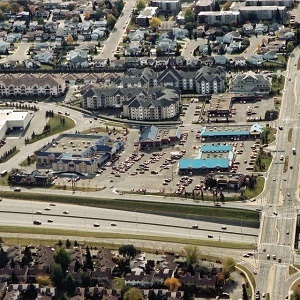 It is also adjacent to Whitemud Drive, one of the city’s major arterial roads. “I am very pleased we have sold the shopping centre and achieved value for ReDev and our partners,” ReDev Properties founder and president Richard Crenian said in a release. “We believe in the Alberta market and will continue to work diligently and appropriately to acquire more quality, well-placed assets. It is fully leased and contains 34 tenants, a mix of national and local businesses. Among the most notable tenants are a branch of the Edmonton Public Library, Sun Life Financial (SLF-T) and restaurant chain Red Robin. ReDev purchased the plaza in 2005. The conditional sale of the plaza was originally announced in the fall of 2016. No financial details have been released, nor has the name of the buyer. ReDev says Whitemud Crossing is the 13th property it has acquired, operated and sold since 2001. This is the first property ReDev has closed in 2017. ReDev Properties Ltd. is a Canadian commercial real estate asset manager. Since 2001, the company has purchased and managed more than 30 commercial real estate properties in Canada. It currently owns/manages 13 properties in Ontario, Alberta and Saskatchewan. Crenian has managed more than $2 billion in real estate assets since 1981.